September 13, 2011 - no comments. Posted by Larz in packaging, Suckpax 3. 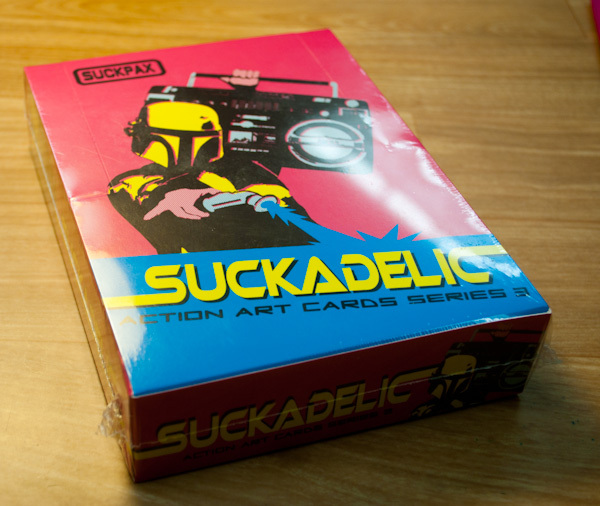 We already have the printed and die cut boxes for Suckpax 3. They were done in tandem with Suckpax 2 boxes, to reduce cost. All we need to do now is number and glue them up. Scheduled for later this week. This is the only component (other than sketch card blanks) already done.